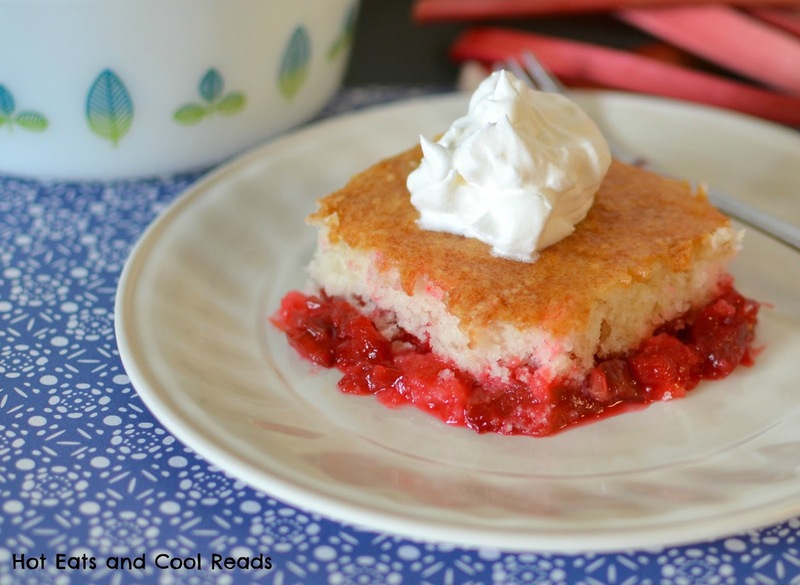 A gorgeous spring time dessert with tons of rhubarb and a hint of strawberry! So easy to make and everyone loves it! Rhubarb season brings back so many childhood memories. You could always find my siblings and I eating some raw rhubarb with salt sprinkled on it, or my Mom baking a cake with rhubarb in it. It is one of my favorite things about spring. This recipe for dump cake comes from my Stepmom Monica. This cake has been my favorite since the first time I tried it. I'm not much of a baker at all, which you might already know from some of my past posts, so this was actually my first time making it. Cooking and baking have always been interests of mine, but I never took the time to do it often. All of that changed. Last year I was rear ended in a car accident and during my long road to recovery, I spent alot of time at home. I turned that time into cooking and trying new recipes, and eventually started blogging them to share. I am amazed at how much I love blogging, and am so glad something so great, came out of such a traumatic and life changing event. This recipe has just the right mix of sweetness and tart. Top it off with some freshly whipped cream for an amazing dessert. It is also a great one for the kids to help with. Ella has a kid safe knife, so she loved cutting the rhubarb, measuring, and dumping it into the pan for me. I hope you enjoy this as much as we have over the last few years! Preheat oven to 350 degrees. Place rhubarb in a 9x13 baking dish. Sprinkle evenly with sugar and dry gelatin mix. Mix cake mix, water, and butter with a whisk until well blended. Pour over rhubarb and spread to completely cover rhubarb. Bake for 45 minutes or until browned. Serve warm or room temperature with whipped cream! This recipe looks fantastic (and your daughter is so cute!) I am actually hosting a rhubarb linky party at 2sisters2cities.com as part of our Fresh Produce Tuesday series. I would love if you submitted this recipe! Thanks so much! i would love to link up! Glad you invited me and thanks for stopping by!! This looks delicious! I have never used Rhubarb but have always wanted to try it. Now I have a super recipe to use :) Thanks so much for linking up to Creative Thursday this week. I can't wait to see what you link up next week. Have a wonderful weekend. 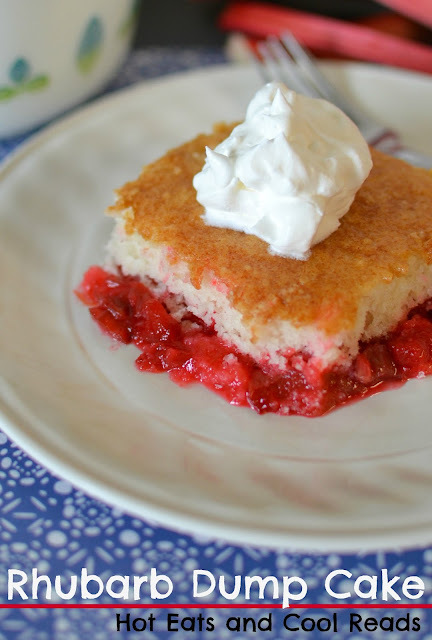 It's an amazing way to use rhubarb!! You will love it! Thanks for hosting! Thanks!! I was so happy with how the pics turned out!! She loves and misses you too!! I love me some rhubarb and this looks delicious. Thank you for sharing it. Your welcome!! I love rhubarb too! YUM-E!!! Can't wait to try this! 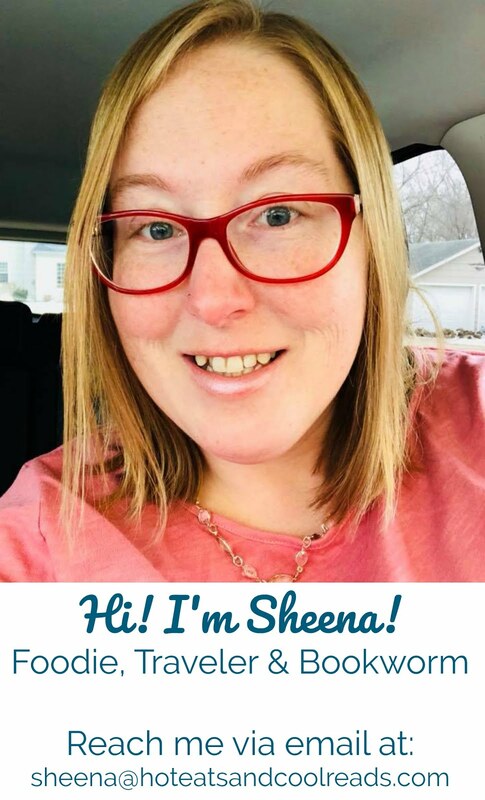 Congrats Sheena on being one of the featured recipes on the Weekend Potluck. This looks terrific and I can't wait to try it. I just pinned it. I haven't had a chance to check this weeks Potluck, but I hope you bring something else yummy to share! Congrats again! Thanks SO much for featuring it!! I'm so excited lol! Congratulations on the Weekend Potluck feature! Everyone agreed that this cake looked and sounded so yummy! Thank you for linking up. Also, feel free to grab a "featured" button if you'd like. Have a great weekend! Thanks so much Brandie!! Hope you have a great weekend too and Happy Mother's Day!! OK...I'm going to have to make this!...but, I'm going to add one thing...a few halved fresh strawberries ( why not?😋!) might just add to the strawberry Jello ...hmmmmm?